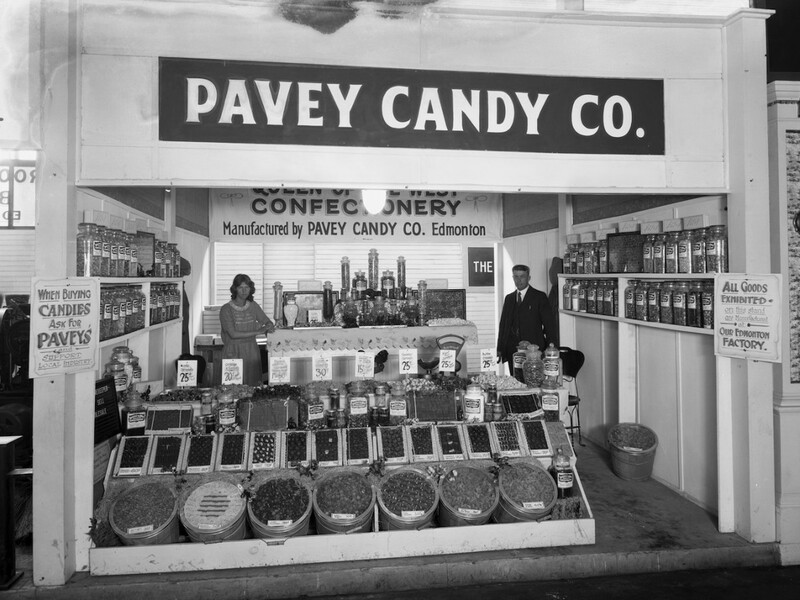 Edmontonians had an insatiable appetite for finely crafted candies, and business was good. Two candymakers and two chocolate dippers worked in the 2,800-square-foot kitchen, turning out 250 to 300 pounds of candy each day. On any given day, their output included dipped chocolates, hard candies, marzipan, ginger fruits, fudges, Turkish delight, peanut brittles, caramels and a dozen other varieties. For updates and opportunities to collaborate with ECAMP, subscribe to our newsletter. © 2019 Edmonton City As Museum Project ECAMP.